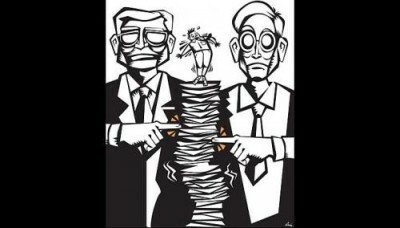 MIDDLE managers may not necessarily be at fault for poor work- life balance in the company, said human resource experts. While top brass may want to adopt strategies like flexi-work, HR experts and middle managers themselves note that implementing them could be another matter altogether. At a National Family Council dialogue last Thursday, company leaders - from chief executives to managing directors - said they support family-friendly measures, but this intention may not always trickle down. Bosses added that middle managers, in charge of day-to-day operations, tend to be more cautious - and rigid - about manpower matters. But some of the 14 middle managers The Straits Times spoke to said manpower needs mean that work-life balance is not always possible. The Travel Corporation sales manager Melvin Loh, 40, said that although his firm is not short of people, work-life balance is still subject to "making sure things are done, especially when it's peak season". "We want to let them go home on time but it's not always possible." HR experts agree. Ms Gwen Lim, HR division manager at recruitment consultancy Robert Walters Singapore, said: "CEOs may not be able to understand the operational workload, and hence possibly not understand the frustrations middle managers have. "Fundamentally, the workload may simply not allow for the wonderful flexibility we would all love to have." Mr Josh Goh, assistant director for corporate services at recruitment firm The GMP Group, said top management's push for work-life harmony has to match its expectation of results. "It is insufficient to pay lip service to work-life harmony and yet... push the middle managers to deliver results constantly." As Employer Alliance director for work-life Cynthia Cheong told The Straits Times: "Middle managers are pressured by the delivery of KPIs (key performance indicators) and have to address time and output efficiency." But this does not mean middle managers have their hands totally tied when it comes to enhancing work-life balance. A 2011 study by Employer Alliance - a network of firms promoting work-life integration - found that middle managers can be either "facilitators" of work-life strategies or "filters", she said. Being closer to the ground may mean they have the best sense of what is possible and a better idea of workers' needs. As middle managers know the family commitments of staff, they are well placed to make staffing decisions, said Ms Pamela Tan, 43, head of operations training at Zingrill Holdings, which owns restaurant brands such as Seoul Garden and Breeks Cafe. Pedro Investigations and Security Services operations director Govin Manu, 62, said middle managers' knowledge of the ground allows them to be flexible "where there is a genuine need". Ultimately, it is the responsibility of top bosses to ensure middle managers deliver on work-life balance goals, said a 36-year-old business development manager. He suggested that one way is to make the target a part of the middle manager's KPI. It will be a stern test of ability and resolve. But Mr Edwin Ker, 30, director of projects management at the Singapore Environment Council, believes solutions can be found with creative thinking and long-term planning. The council's measures include a flexi-hour scheme which lets staff report for work later if they need to take their children to school, and an assigned "buddy" for each employee to be covered in an emergency.